You need comments to get feedback and increase engagement on your website or blog. However, the WordPress comment section also welcomes spammers who can frankly break your blog. Spam comments can make the comment section look hideous, and create a disturbance for both you and your readers. However, if you are using a WordPress website, then there is a straightforward method for tackling spams. 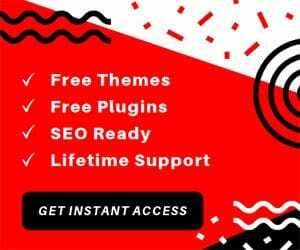 As you know, the WordPress platform is filled with an enormous collection of plugins curated to solve your different problems, and just like that, there are anti-spam WordPress plugins. For this read, we have checked out a bunch of famous and influential WordPress Anti-Spam plugins to bring you a short list of some of the best and most efficient ones. Installing any of these plugins will be of enormous help in your fight against comment spammers. Starting off our list, we have the super popular Akismet anti-spam plugin for WordPress. Once installed, you will have to activate the plugin using an API key which will require you to sign up and create an account with Akismet. The API key is given for free if you want to use it on your blog; however, businesses and commercial websites will have to buy a license. Furthermore, free users will have a limit of up to 50,000 monthly spam checks. If you want to go for a commercial license, pricing starts at a modest $5/month. Once you have things up and running, the plugin will automatically scan all the comments, tally them against its global database of spams, and then filter out the spammy, malicious content. You will also get to review the spam comments, judge for yourself and manually allow, or delete them. Next up we have Anti-spam Bee. 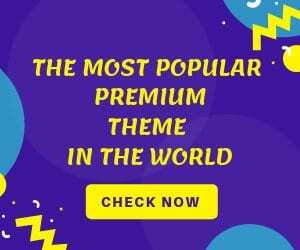 Unlike Akismet, with this WP anti-spam plugin, you will not have to go through any extra sign up process, nor will you need to install any third party APIs. This means effective spam management without getting any third party services in the middle. The plugin works automatically to help you fight against spam comments and trackbacks. The plugin will trust commenters with Gravatars. You can also approve commenters whose comments will never get spammed. Besides this, you can also block or allow comments based on which country it is coming from, and so on. Other notable features of the plugin include the option to ban specific IP addresses from commenting on your website. You can also log spammers using Fail2Ban. Best of all, you can schedule deletion of all spam content. The naming here couldn’t have been more direct. Anti-spam comments WordPress plugin will help users to block automatic spam in the comment section, and that too, without the necessity of providing any captcha. All you have to do to use the plugin is merely install, and it will get to work just like that. All the comments that are labeled as spam get stored into a dedicated spam area. You will be able to turn this functionality on and off as you want. Furthermore, all the spam comments can also be set back to regular comments based on your discretion. However, it is worth noting that the plugin works to prevent spam in the comment section only. Now if you are looking for a universal spam protection system that can keep your site secure from all sorts of spam, and not just comments, then you might consider taking a look into the Spam Protection WordPress plugin from CleanTalk. Here, it is worth noting that CleanTalk will send the comments you receive on your website to the CleanTalk cloud, analyze it to detect if it is a spambot. Spambots will be prevented from posting comments, whereas genuine visitors will be allowed. What is impressive here is that the service is known to have a false/positive rate which is no higher than 0.008%. Furthermore, the plugin will extend its functionalities to not only help you stop spam comments, but also spam registrations, orders, bookings, surveys, and much more. 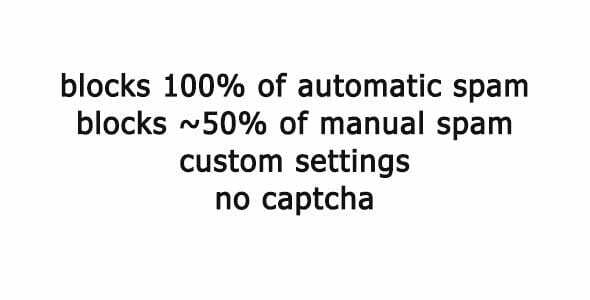 Captcha Bank is a straightforward yet powerful anti-spam plugin for your WordPress website. Using an automated spam protection system is excellent and problem-free. However, it always has that slim chance of getting followed by an advanced spambot. 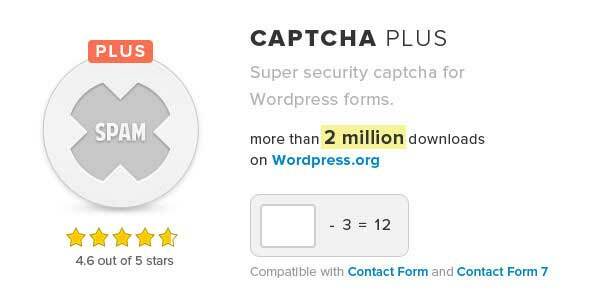 In case, you like the security guaranteed by captcha; this plugin will serve you nicely. The plugin comes packed with a plethora of different captcha validators. You can use math operation captchas, text-based captcha with customizable text color, background, and styling and much more. So will have lots of options to find and stick with something that is easy for your human users to validate, but at the same time impossible for spam bots to get through. On top of all this, the plugin can also notify you based on various events such as a user-success login, user-fails login, IP address block, unblock, and so on. Stop Spammers WordPress plugin brings in a good mixture of captcha based and algorithm powered spam protection system for your website. It will keep your site safe from spam comments and login attempts by performing over 20 different spam checks. It can also block spam coming from over 100 different countries. Now, the spam protection measures taken by the plugin can be seen as very much aggressive. Although this ensures optimal security, some of your genuine readers and website visitors might end up getting blocked. Just so this doesn’t happen, the plugin triggers a captcha screen to give users a second chance. Here, you will have the option to configure the captcha to use OpenCaptcha, Google reCAPTCHA, or SolveMedia Captcha. We have gone through a variety of different anti-spam WordPress plugin giving you spam protection in a variety of different ways. Some plugins required you to use API keys, some plugins leveraged their cloud database, other used algorithms, and we also had plugins that used captcha. Spam Destroyer is a plugin which will work to protect your site from spam comments without captcha automatically, and without aid from any third party services. If you don’t want to expose your site’s content outside and still wish to have automated protection without forcing your user’s to go through the trouble on entering the captcha, then this probably the best plugin for the job. Coming up next, we have WPBruiser – an algorithm based anti-spam and security plugin for your WordPress website. Based on its algorithm it can detect spam comments and prevent them automatically. The plugin also doesn’t force any hard to read captcha images, which sometimes can cause problems for genuine visitors to your site. It is worth noting that this WordPress anti-spam plugin functions a bit more different compared to some of the other plugins we saw on this list. For example, the other plugins first analyzed to see if a particular comment was spam or not, and then they moved it to the spam folder for you to evaluate. But here, the spambots are prevented from leaving the comment in the first place. Besides this, the plugin can also help with preventing brute force attacks on your website. It is also known to integrate with other plugin and services to help you fight spam in login forms, registration forms, and much more. Cerber Security is a full-on security anti-spam plugin for your WordPress website which is developed to help protect you from malware and other online threats. Now one of its features happens to be spam protection, which is what we are interested in. The plugin has a dedicated system which filters spam and provides anti-bot protection for your contact forms, registrations, comment section, and all other forms on your websites without using Captcha. It is also compatible with many well-known services such as Contact Form 7, Gravity Forms, WooCommerce, and so on. Besides these, the plugin has a host of other features designed to keep away hackers from your website and keep it malware free. One of this features the option to create a Black IP Access List as well as a White IP Access List which can block or allow specific IP address. 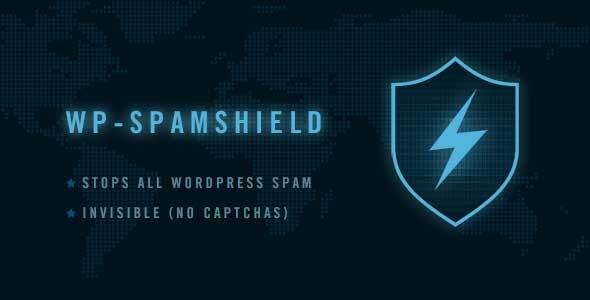 Bulletproof Security anti-spam WordPress plugin is a fully featured security plugin for WordPress with integrated functionalities that will help you filter and prevent spam comments. Now it is worth noting that this is a freemium plugin. That is to say, you can use the plugin for free, but there are some advanced features and functionalities which if you wish to access, you will have to purchase the pro version. Both on the free and paid version, the plugin delivers the spam protection functionalities that come with the well known Anti-Hacker tool, more specifically, JTC Anti-Spam. With the free version you get JTC Anti-Spam lite, but with the pro version, you get the full functionalities of JTC Anti-Spam. Captcha Plus, as the name suggests, is a captcha based spam protection plugin for your WordPress website. This WordPress anti-spam plugin can help you integrate captchas into your login page, registration forms, while filling out password recovery forms, comments, and much more. The plugin is super easy to use which can adequately protect your website from spammers. There are also different types of captcha validators which you can use to help your human users whereas fend off bots once and for all. You will get access to math-based captchas, character recognition, and much more. On top of that, you get enhanced captcha protection with letters, numbers, and images. You can also hide captcha for registered users and whitelisted IP addresses to provide them a more accessible interface. Next up is Anti-Spam Pro, a spam protection WordPress plugin for WordPress which functions without using user troubling captchas or even admin worrisome moderation queues. All you have to do is install the plugin, and it gets to work, protecting your website from all possible spam related issues. The plugin has a built-in system which helps it to detect if the comments coming in are bot-generated for manually submitted. If it is a bot, then it will get immediately blocked. Now, if the comment is being manually registered, then the plugin will run many more tests to see if it is spam or not. Overall all, you will get a potent system which is known to automatically block 100% of all spam messages to your site without causing any inconvenience to you or your users. Any Other WordPress Anti-Spam Plugins? So these were our picks for the best WordPress anti-spam plugins. We hope you found this list to be helpful, and do let us know if you decided to use one of the plugins we mentioned here. Leave a comment on how it has helped you fighting the war against spammers. Also, if you know of some other powerful and efficient anti-spam plugins, you would like to share with us, and your fellow readers then feel free to comment below. Your message will be shared and appreciated.